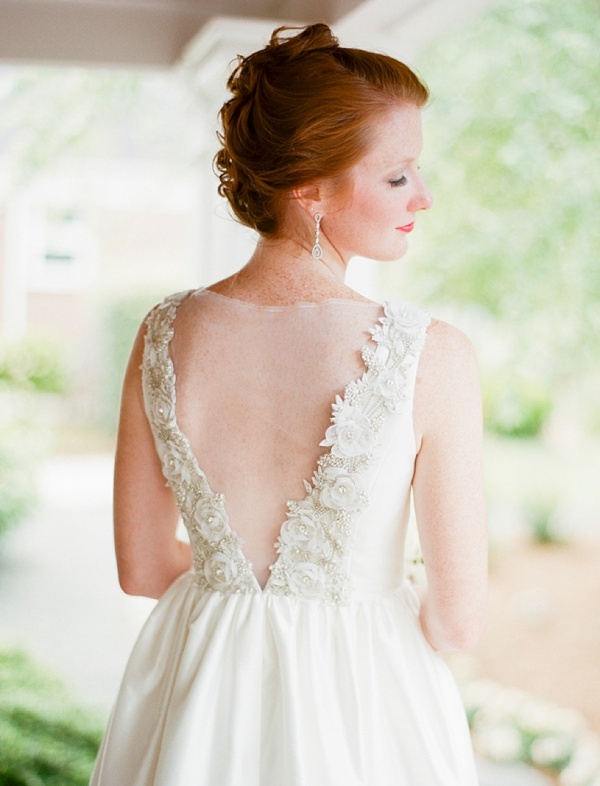 We love gorgeous classic wedding gowns and cheerful smiles here at Tidewater and Tulle, so when this bride Cary Frances' Heidi Elnora dress that looks just as amazing from the back as the front dropped in our laps, we immediately swooned. 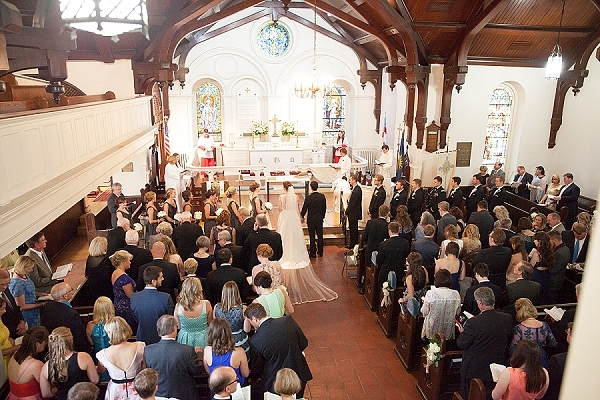 Add to that a cathedral length veil, and we were hooked on Andrew and Cary Frances' special Newport News day! 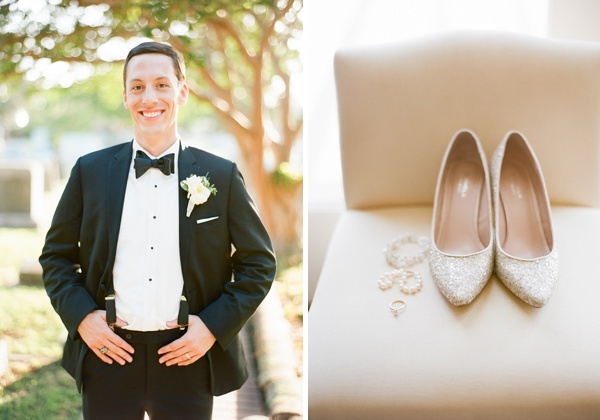 Envisioning Audrey Hepburn style and traditional Virginian elegance with a dark gray color palette highlighted by pops of greenery and silver, the James River Country Club provided the perfect backdrop for a riverside wedding for these two lovebirds. 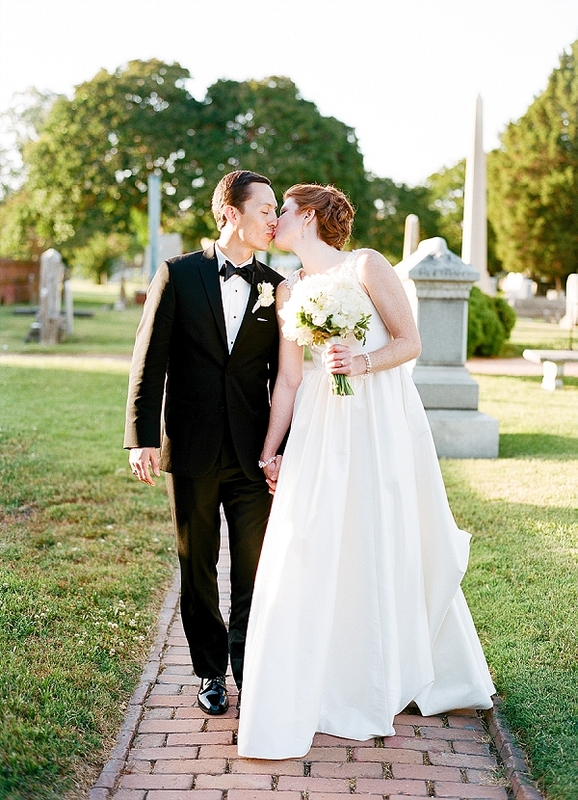 Andrew and Cary Frances both have Auburn University in their blood as their alma mater and the place where their love story began, so these two knew they had to reflect their history in their wedding day. 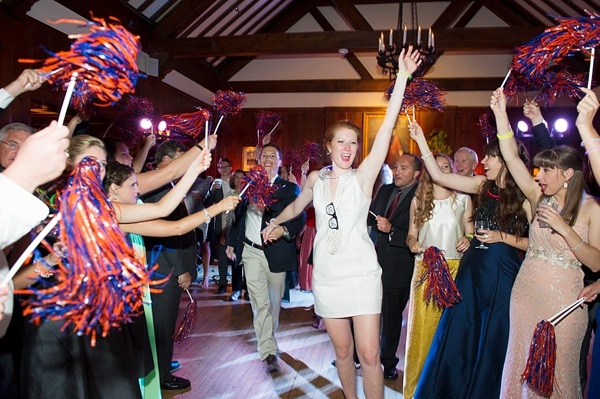 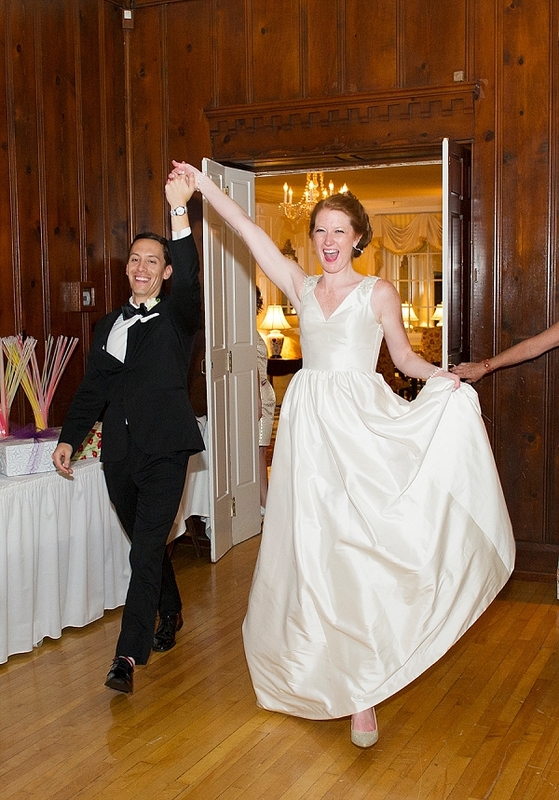 Since Cary Frances is from Hampton, Virginia and Andrew is from Mobile, Alabama, the bride honored her second home state by traveling to Birmingham to find her dream gown and making sure they had a fun orange and blue pom pom grand exit. 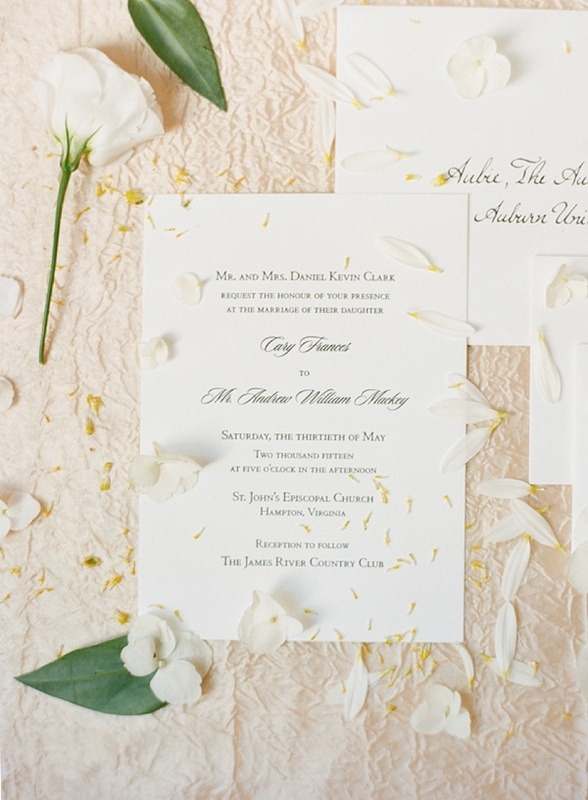 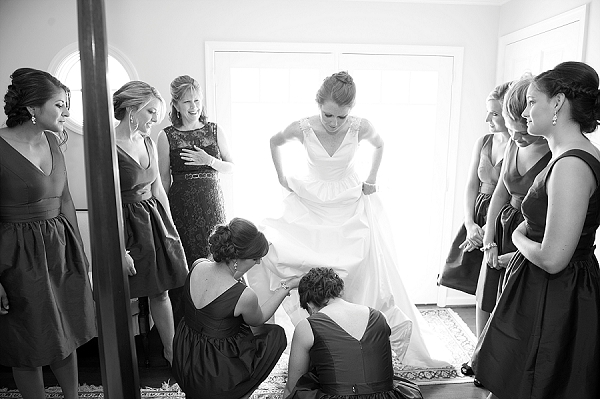 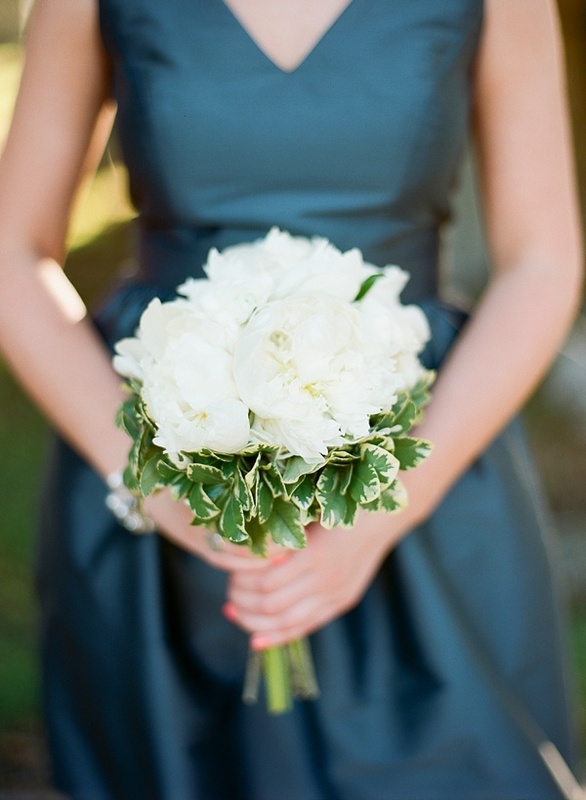 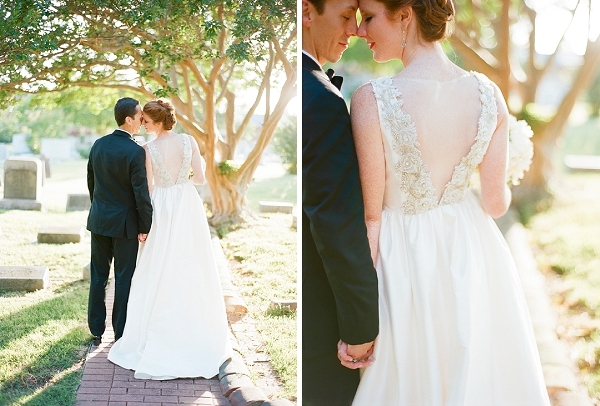 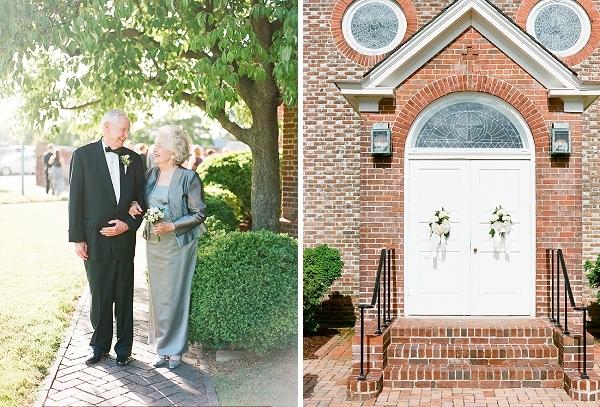 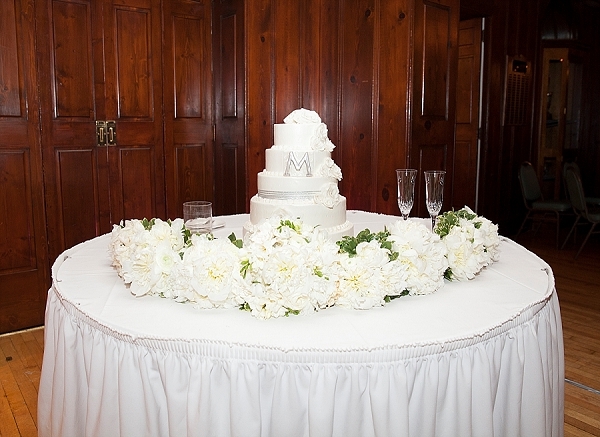 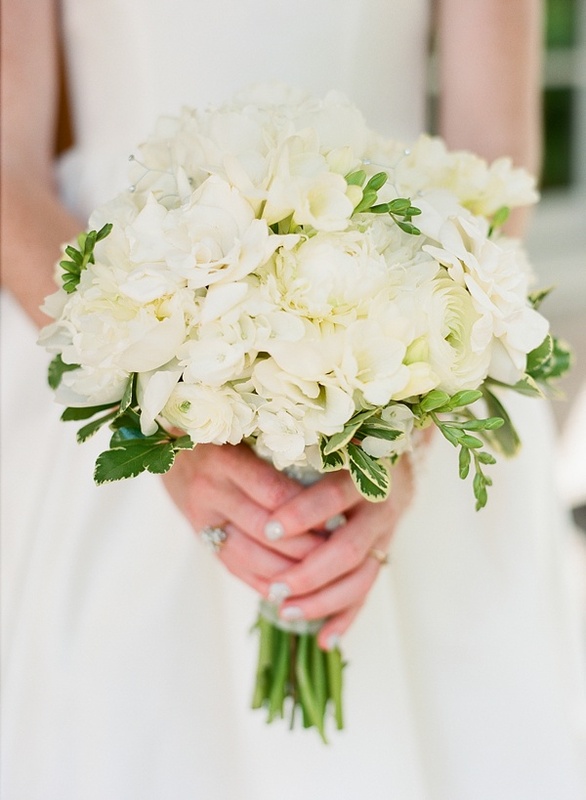 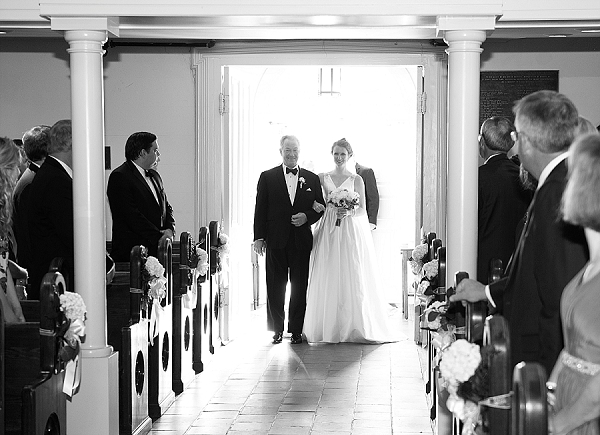 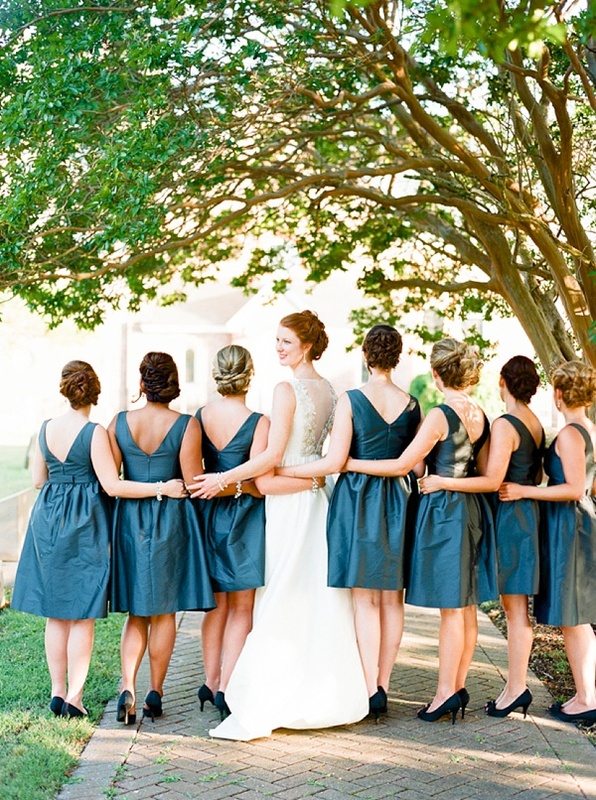 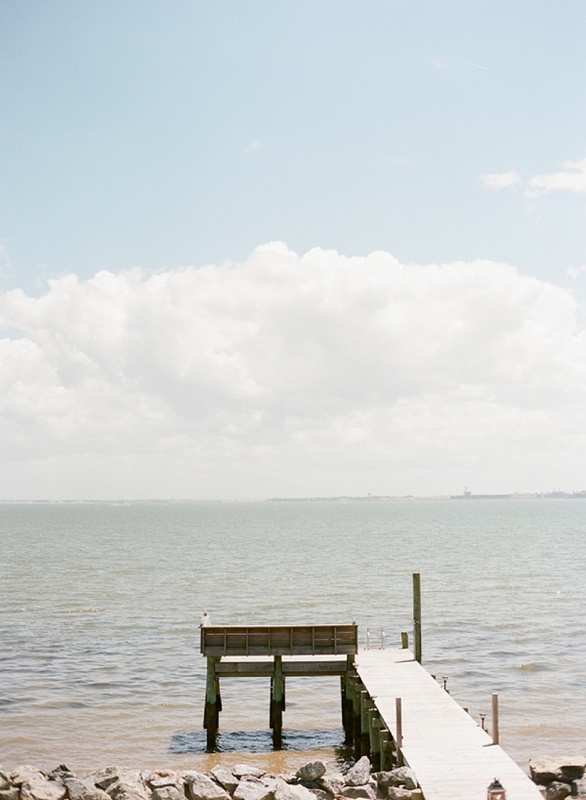 Every detail exuded southern class and thoughtfulness, and it was captured beautifully by Lisa Blume Photography. 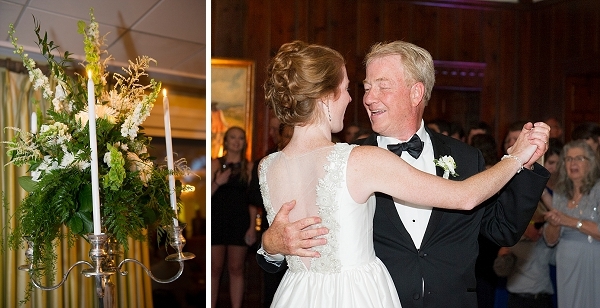 From the sweet bouquet for the grandparents to a party that kept their guests dancing all night, everything was a nod to the graciousness of family and friends who traveled from near and far for their special day.